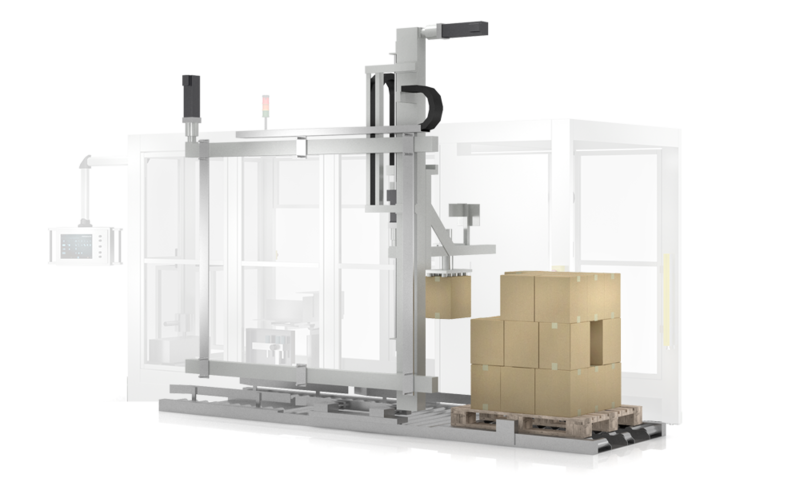 » Carton Handling / Case Packing » FOCKE & CO.
Easy size change, fast and tool less. 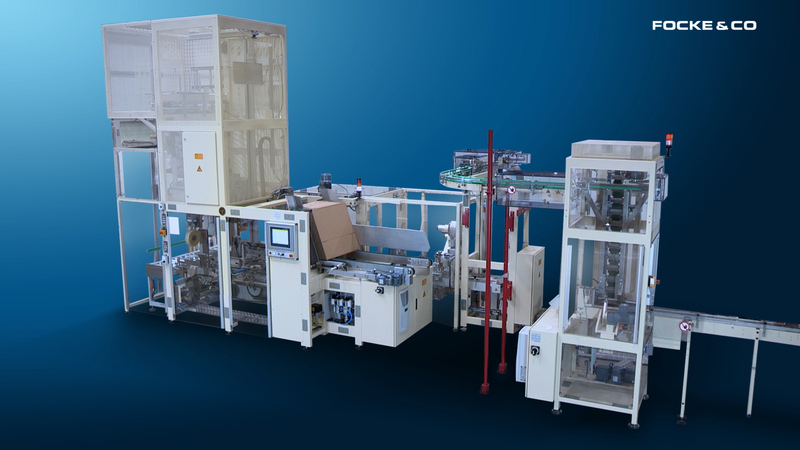 Various infeed and outfeed systems. 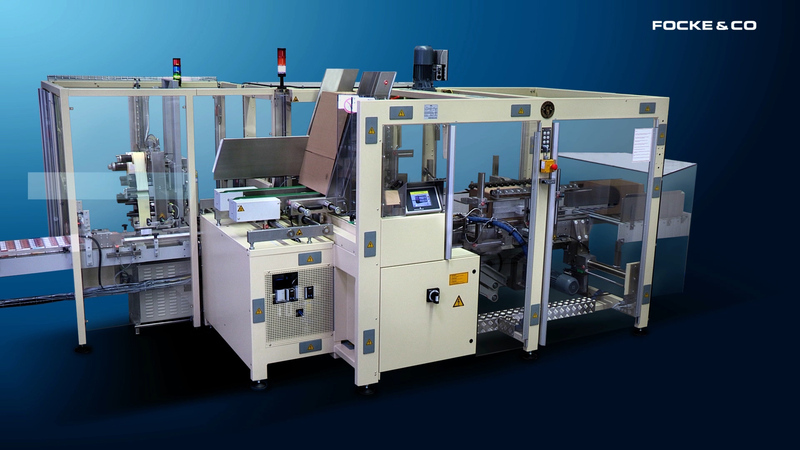 Various case closing: Tape or hot melt or a combination of both. 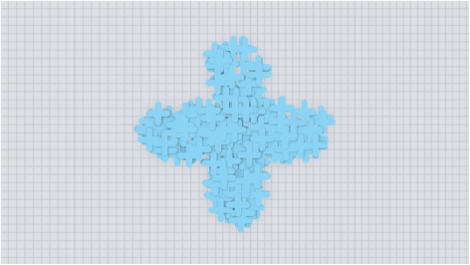 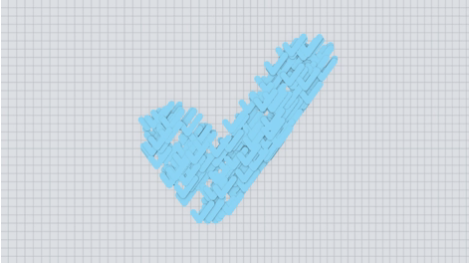 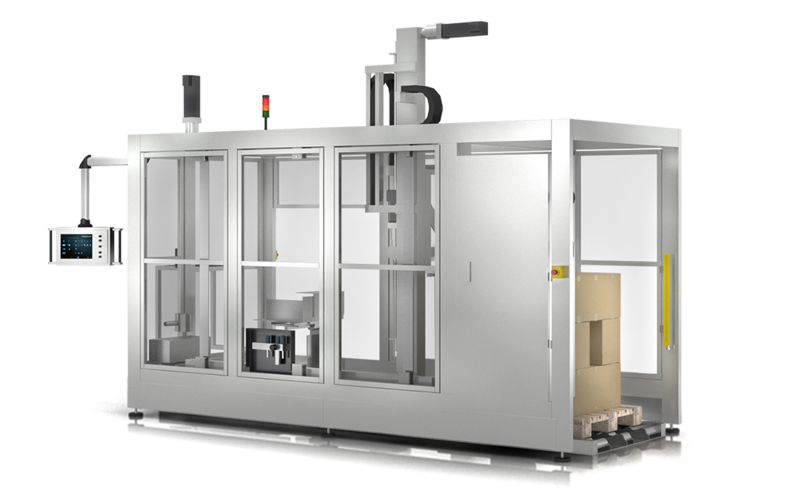 Customized machinery design options on requirements. 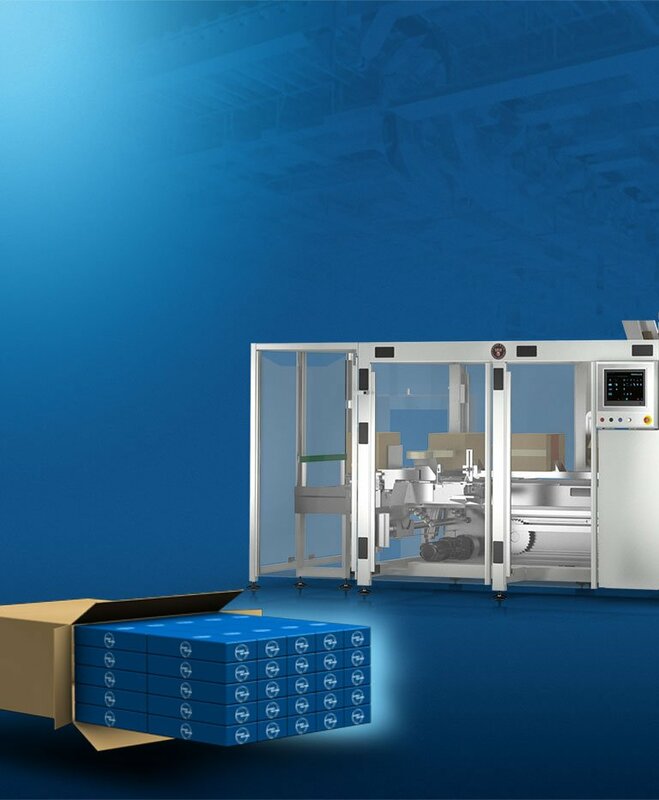 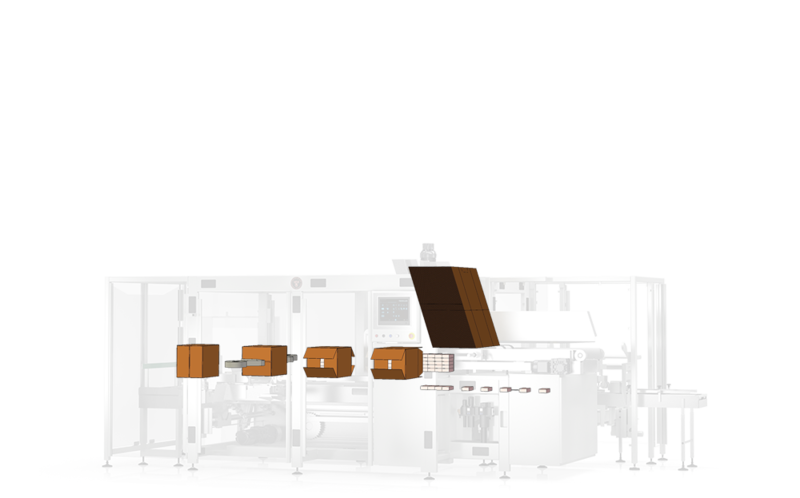 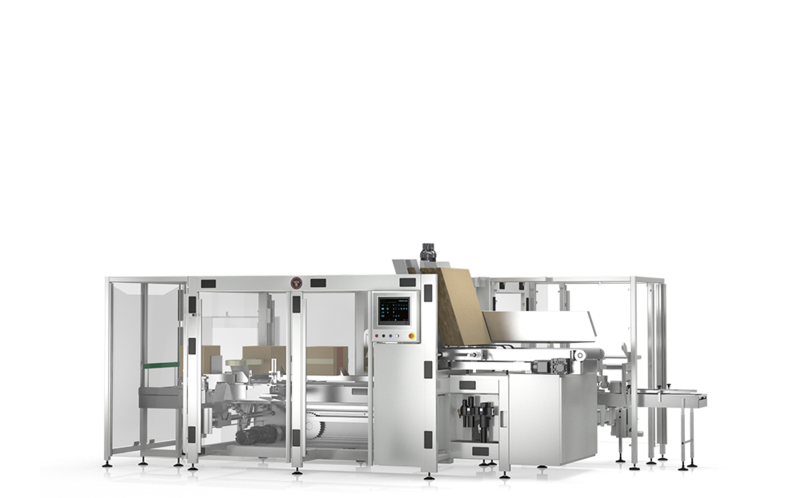 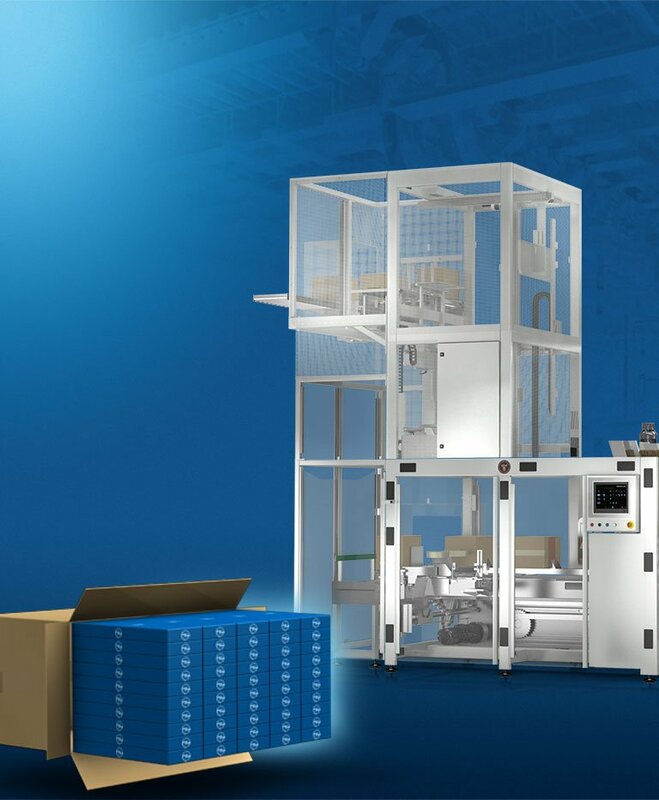 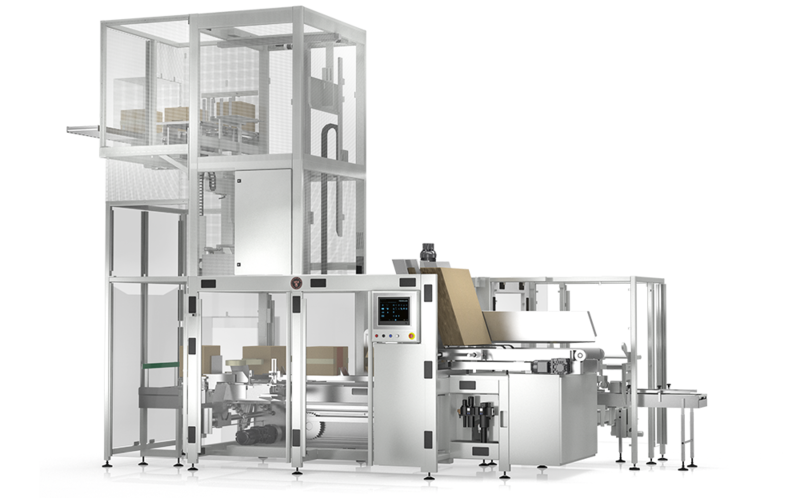 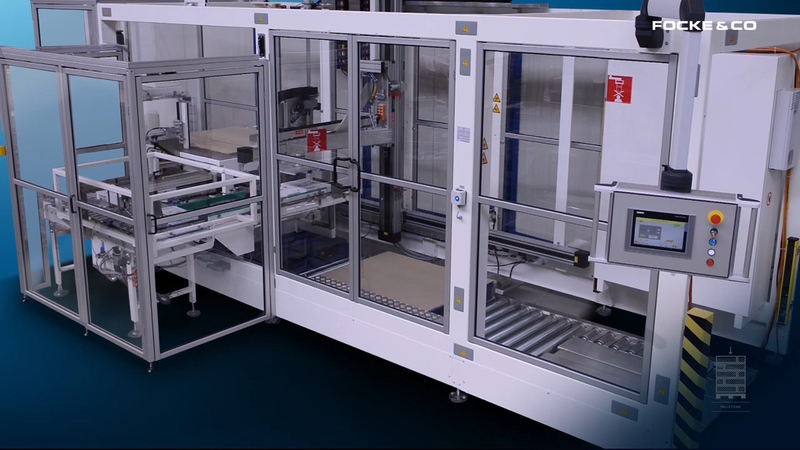 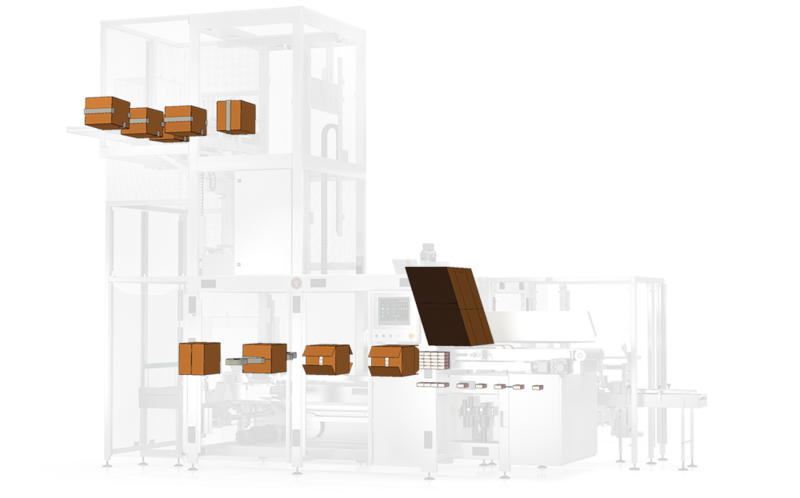 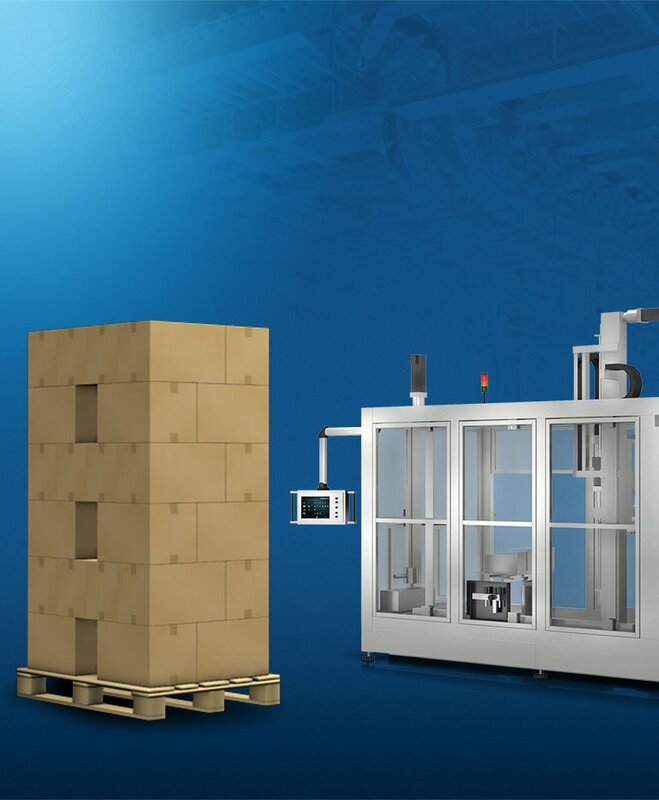 Integrated palletized and further peripheral equipment such as product reservoirs, lane dividers, lane mergers, case elevators and case lowerators for a complete end-of-line packing system.